Regretfully, Inferno's On Academy will be closing its doors as of August 18, 2018. We would like to sincerely THANK YOU; our customers, family, friends and staff for 6 WONDERFUL YEARS OF BUSINESS! We couldn't have been a success without your continuous support. InFerno's Bistro will be closed from October 9 - 16, 2016. The InFerno's on Academy location will remain open during this time. 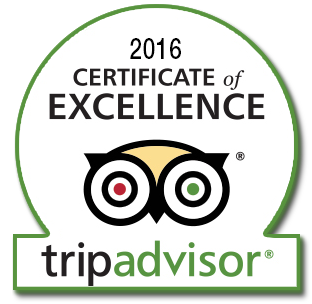 InFerno's Bistro, Winnipeg's premier bistro has received a TripAdvisor® Certificate of Excellence. Now in its sixth year, the achievement celebrates hospitality businesses that have earned great traveler reviews on TripAdvisor over the past year. Certificate of Excellence recipients include accommodations, eateries and attractions located all over the world that have continually delivered a quality customer experience. "We're thrilled to be recognized with the certificate. 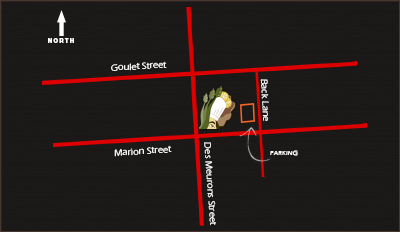 We have people coming from all over the Province and across the border and love being able to provide a memorable culinary experience for them and our regulars. We really love what we do and the opportunity to utlize our passion for food and music in this way." stated Chris Kirouac, one of the managers of the InFerno's group. "With the Certificate of Excellence, TripAdvisor honors hospitality businesses that have consistently received strong praise and ratings from travelers," said Heather Leisman, Vice President of Industry Marketing, TripAdvisor. "This recognition helps travelers identify and book properties that regularly deliver great service. TripAdvisor is proud to play this integral role in helping travelers feel more confident in their booking decisions." Give your Dad something to sing about this Father's Day with our "Father Knows Best" challenge. Visit classic107.com until June 15th and share your Dad's favourite words of wisdom. All entries will receive a VIP invite to Inferno's on Academy signature Jazz Nights, Tuesdays and Friday's. The grand prize winner will be treating Dad to a meet and greet with one of Canada's "Father's of Jazz" - Oliver Jones - plus front row tickets to his show on June 20th at West End Cultural Centre as part of The 2016 Winnipeg International Jazz Festival. Jones is one of the most recognizable and iconic names in Canadian music. While he toured and supported pop acts in Puerto Rico, it was not until he returned to Montreal in his 50's that he committed himself to playing jazz full-time. Since the mid-'80s, he has recorded and toured extensively, establishing himself as a major modern mainstream player with impressive technique and a hard-swinging style. In 2016, he's back from retirement to embark on his last tour, which will include many cities in western Canada - making his stop in Winnipeg extra-special. He will also be presenting his concert at the 2016 Olympic Games in Rio de Janeiro. 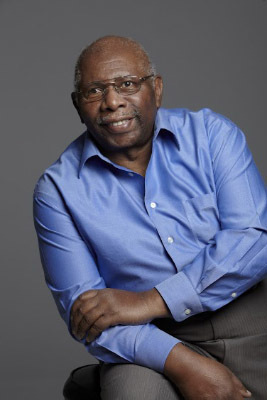 Jones has won several awards during his brilliant career, including two JUNO Awards, the Oscar Peterson Award, a Martin Luther King Jr. Achievement Award, an Opus Award, the Order of Canada, and the Chevalier de l'Ordre national du Québec.